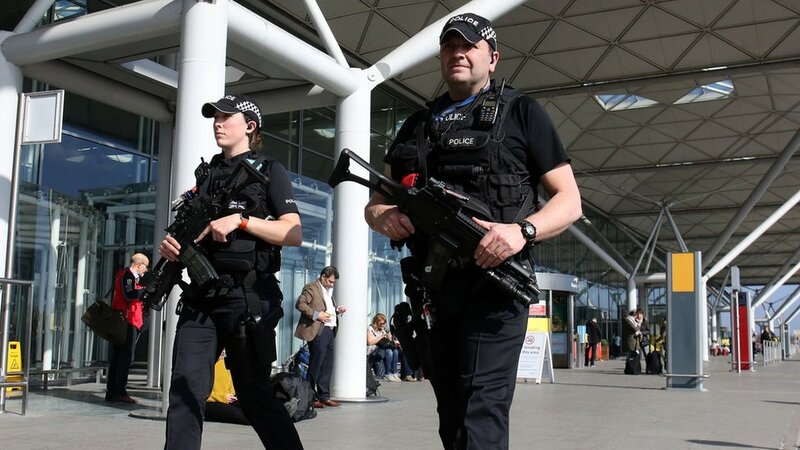 A no-deal Brexit deal would hit UK-EU security ties and have a “real impact” on protecting the public, Security Minister Ben Wallace is to warn. In a speech to law enforcement leaders, he will say the “heart of effective security is close co-operation”. Mr Wallace will say Theresa May’s deal, which MPs vote on next month, sets the foundations for the most comprehensive security relationship in EU history. But Labour’s Diane Abbott said the plan “fails on guarantees for security”. The shadow home secretary’s party is to table an amendment to reject the deal, but also “prevent the chaos of the UK crashing out of the EU”. The UK is due to leave the EU on 29 March 2019 but under Mrs May’s deal the UK and EU would continue to work together as they do now during the transition period, which is due to run until 31 December 2020. The deal for how the UK will leave EU is accompanied by a non-binding declaration on the future relationship between the EU and UK and the plans for co-operation on security after the transition period are set out in this document. MPs are due to vote on the deal on 11 December. If they reject it – and no other solution is found – the UK could leave without a deal and current arrangements on security co-operation would end on 29 March with nothing to replace them. Mr Wallace is due to speak at the International Security Expo in London, where he will say a no-deal departure would be a step backwards for security co-operation. He will say the UK, through the experience of the last few decades, has learnt the value of working with its European partners. “And we and Europe know, from bitter experience, that often when there is a mistake or when something has been missed that we find, time and time again, that it has been due to a failure of co-operation. The UK wants to maintain all the existing security arrangements – and it knows that the EU wants to maintain this high level of co-operation out of mutual self-interest. But there are problems. Critics of the government’s hopes for post-Brexit security are concerned that the proposed final relationship with the EU – that would kick in in 2021 – is long on aspirations but short on solutions. It’s not remotely clear if the UK will be able to access EU-organised databases, such as those that exchange criminal records, wanted alerts and DNA and fingerprint records, after the transition. Once transition ends, so does access to the data – unless a security treaty can be agreed. But even if that treaty is signed, it may come up short. Some nations, like Germany, have constitutional bars on how they can co-operate on security with non EU states. In his address, Mr Wallace will say that Mrs May’s agreement would set the foundations for the broadest security relationship the EU has had with another country. The partnership would include the ability to exchange information on criminals and tackle terrorism, to quickly share data on people travelling to and from the UK to spot potential threats, to exchange DNA and fingerprints, and to fast-track extraditions. Ms Abbott described the government plans as “dangerously flimsy”. She added that there were “only aspirations for a vague security partnership, no plans for proper security arrangements, including with Europol” and that it was “simply unacceptable”. As the vote on the PM’s deal draws closer, details of what will happen in Parliament during the build up were released. The Commons will debate the agreement for eight hours a day on 4, 5, 6, 10 and 11 December under business proposals set out by the government. But MPs will be allowed to table six amendments to the Brexit motion, to be chosen by Commons Speaker John Bercow and heard before the vote on 11 December. Labour has put forward an amendment “rejecting Theresa May’s botched Brexit deal” and to stop a no-deal, calling for all options to be left on the table if it gets voted down. The party’s leader, Jeremy Corbyn, said the deal “is a miserable failure of negotiation by a government that has wasted the last two years fighting with itself, rather than securing a better deal with the EU”. The Election Arrived, But Where The Heck Was The NYT’s Election Needle?